Decade of Bicentenaries? New churches expressing Irish Catholic hopes after 1800. 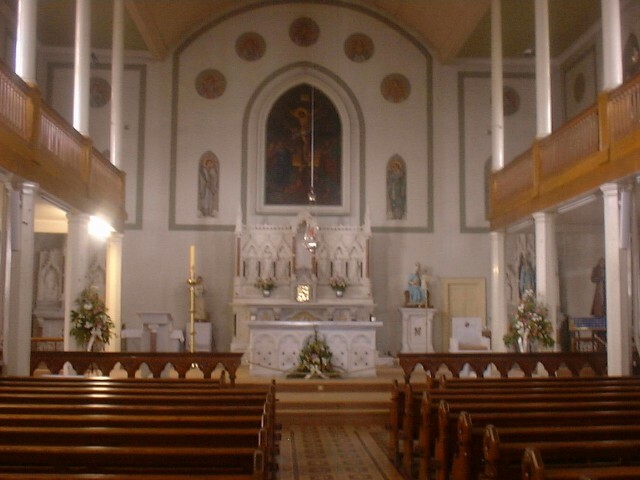 The intimate interior of Shanagarry church. It seems likely that this church originally ended in a blank wall with the altar in front of it, the arch and chancel being added later as funds were raised. The roof was originally an open timber structure. 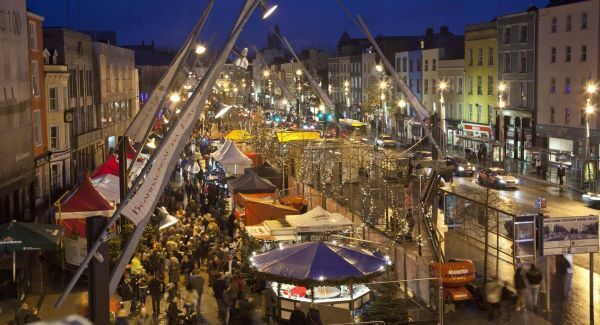 We in Ireland are currently involved in the Decade of Centenaries – an all-Ireland initiative to commemorate the events that happened in Ireland from 1912 to 1922. 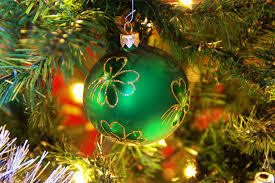 The events being commemorated include the Home Rule Bill of 1912, the foundation of the Ulster and Irish Volunteers, the outbreak and course of World War I, the Easter Rising, the partition of Ireland into two political units, the War of Independence (Troubles), and the Anglo Irish Treaty of 1921, with the arrival of effective dominion status in the Irish Free State in 1922. But I wonder if we have also forgotten to look back a further century to the early 1800s. In 1801 the Irish Parliament ceased to exist and a smaller group of MPs had to speak for Ireland in the Westminster Parliament. Hopes were raised during the run-up to the Act of Union that Catholics would be given political rights – a natural follow through of the gradual removal of restrictions on Catholic worship, land ownership, education, and entry to both the legal and medical professions. 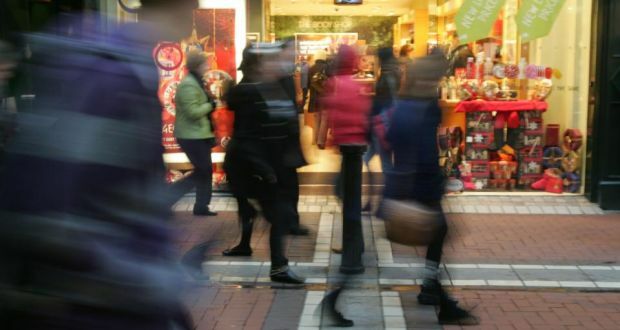 What Catholics wanted was the right to be represented on the local government bodies, to become magistrates and to stand for election to Parliament. Furthermore, the fact that Britain (and, therefore, Ireland) was involved in a major war against Napoleon’s French Empire weighed heavily on the minds of political figures in both Britain and Ireland. How could the Crown ensure the loyalty of Irish Catholics, who until the French Revolution had looked to France for support? 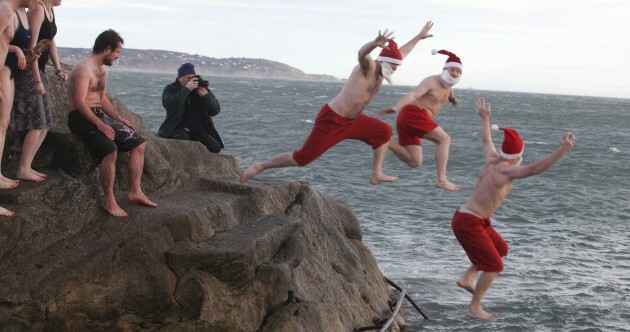 One way was to bring the Catholic clergy onside. The savage violence of the Revolutionaries in France against the Church had already alarmed the clergy in Ireland. Cleverly, the (Protestant) government in Ireland (with the support of the British government) had founded a seminary for the education of catholic clergy and laymen in Maynooth in 1795, supporting it with an annual grant. The effect was gratifyingly immediate for the government – the Catholic hierarchy condemned the 1798 Rebellions and supported the Act of Union in 1800. The prospect of Catholic Emancipation reached fever pitch by 1815 – but somehow the government found reason to go back on its promises until Daniel O’Connell threw down the gauntlet in 1828. 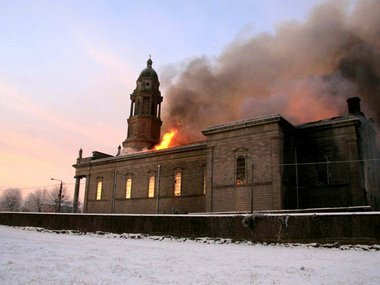 Meanwhile Catholics in Ireland felt they could do something for themselves about their standing in the community – they began to either rebuild their chapels or build many more new chapels to cater for a rapidly increasing population. The tiny country church of Cratloe in County Clare, perfectly preserved and beautifully restored. A rare national treasure by any standard, and a very rare survival. It was begun in 1791 (nave and chancel) and extended in 1806 (transepts, seen here) and incorporates a medieval doorway brought from elsewhere. Daniel O’Connell gave a speech to crowd here during his 1828 election campaign. 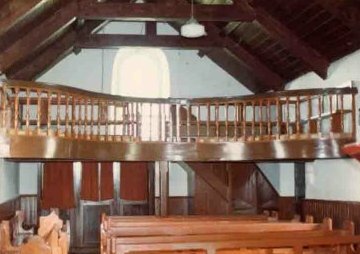 The interior of Cratloe Church shows the simple design with open timber roof and galleries. The T-shaped plan of Cratloe allowed for the installation of THREE galleries! They were a nightmare to restore given that people are much taller now. Such interiors were usually heavily embellished later in the nineteenth century. 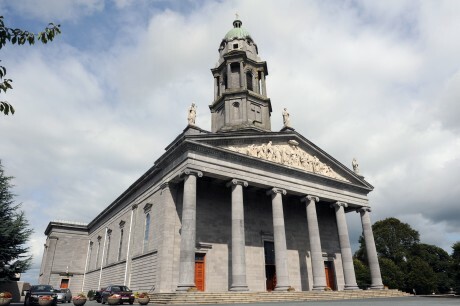 In 1808, Dr John Milner, Catholic Vicar Apostolic of the Midland District in England (effectively Catholic Bishop of Birmingham), visited Ireland for the opening of St Anne’s and St Mary’s Church in Shandon – now the North Cathedral in Cork (the south Cathedral is St Fin Barre’s Anglican Cathedral by William Burges). Milner was an early advocate of the gothic revival style in church architecture for Catholics deeming it an original Catholic style. 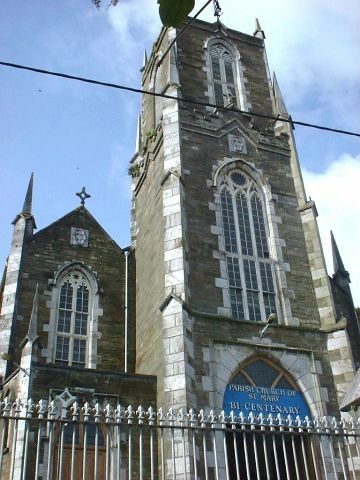 Now a fine church had been built in Youghal in the 1796. This showed early gothic revival features like pointed arches, but it also included a very ‘Protestant’ feature – galleries going around three sides of the interior. The galleries were necessary to accommodate an increasing population. 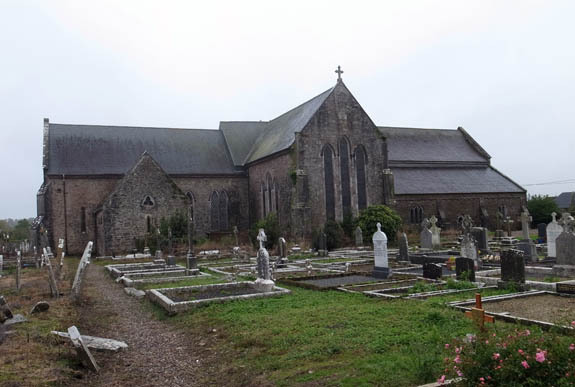 Youghal boasted the finest Catholic church in the diocese of Cloyne for many decades thereafter. 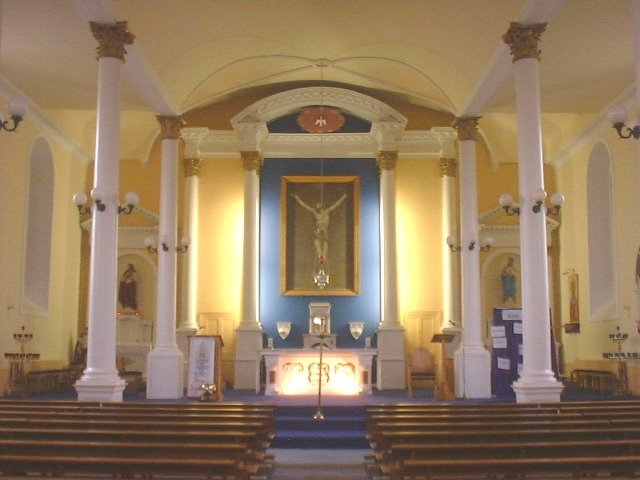 St Mary’s Catholic Church in Youghal founded 1796 as the finest Catholic church in the diocese of Cloyne. Only a few hundred yards from the Anglican St Mary’s Collegiate Church, which is a medieval foundation. 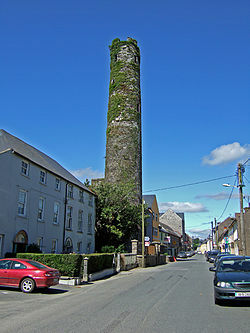 The tower seen here was apparantly once topped by a spire of timber and lead, but it blew down in a storm. 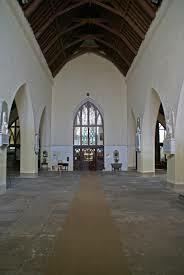 The interior of St Mary’s in Youghal showing early Gothic revival pointed arches and the galleries which give the place the atmosphere of a Wren church in London, or a Congregational church in New England. The church in Youghal was an exception. Smaller communities were also replacing run-down chapels. 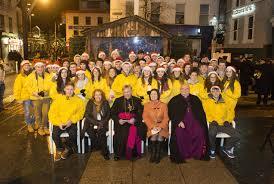 This year, 2014, saw two bicentenaries celebrated in neighbouring parishes. The small village of Ladysbridge is part of the parish of Ballymacoda and Ladysbridge. In 1814, the Catholics were given land by the Protestant Henry Boyle, 3rd Earl of Shannon, who lived nearby in Castlemartyr House (now a luxury hotel!). 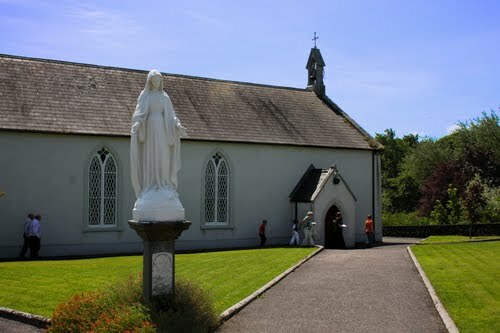 Lord Shannon’s gift of land and funds was to facilitate the provision of a place of worship for Catholics in Ladysbridge. 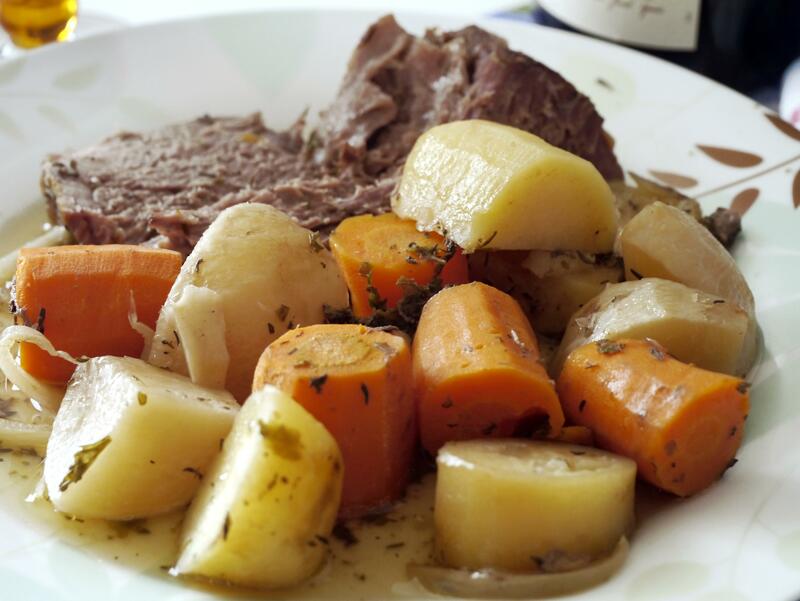 A generous landlord could be a boost to the local Catholics but a difficult landlord could be very troublesome indeed. 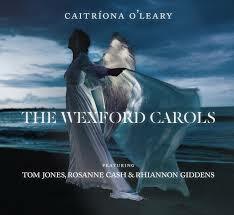 In Midleton the landlord refused to allow the building of a Catholic chapel within the town until the 1890s! 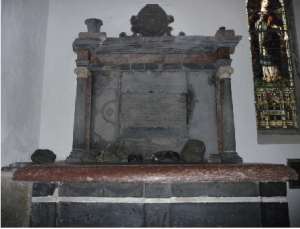 The design of Youghal church seems to have been used as a template for Ladysbridge church for there were galleries on three sides of the interior. 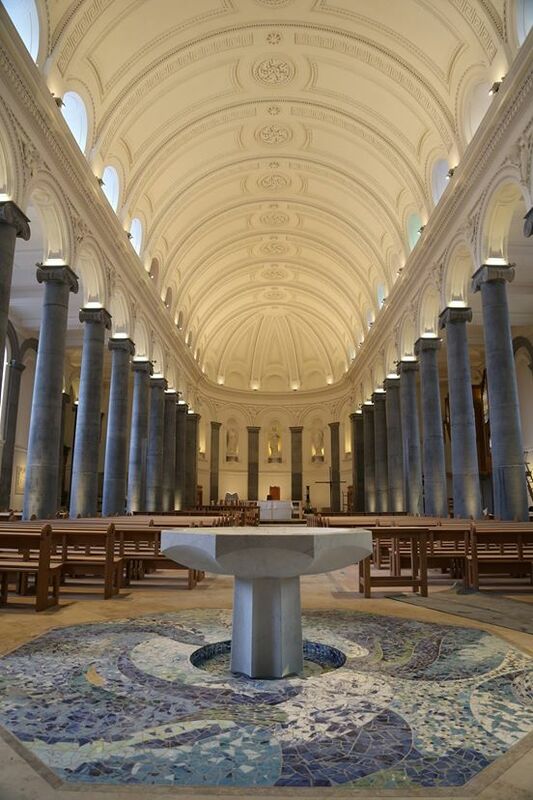 The simple basic design was typical of the type of church that Catholics were building at this period – the urgent need was for solid structures to accommodate a rapidly increasing population, decorative embellishment was a secondary consideration. 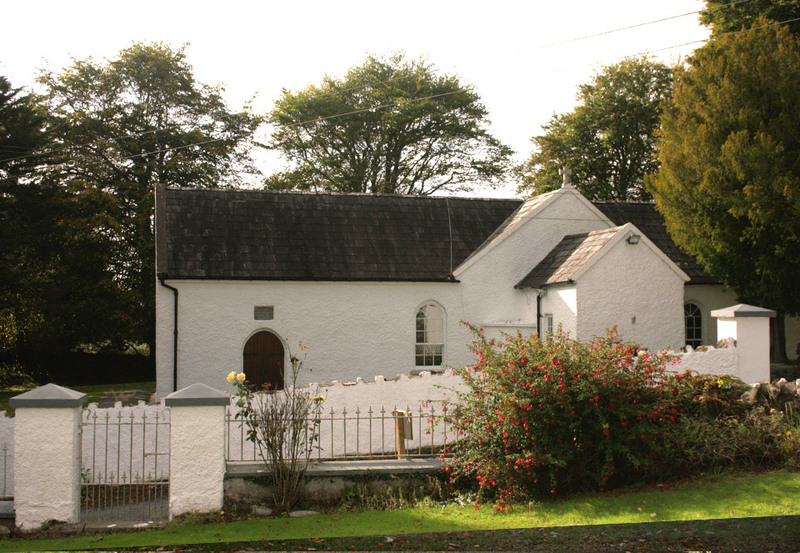 The simple shape of Ladysbridge church is typical of the type of architecture used before the Famine in Ireland. However the walls and gables were raised a few feet in the 1958 refurbishment. There was once an external staircase leading to the internal gallery. The 1958 renovations stripped Ladysbridge church of the side galleries. The three altars and mosaic shown in the picture were all products of the 1958 refurbishment. The original decoration was much simpler, and the roof was of open timber work. 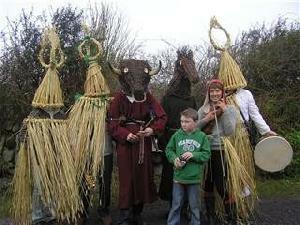 In those days, the parish of Ballymacoda and Ladysbridge included the village of Shanagarry. This was a place with associations to William Penn, founder of Pennsylvania. 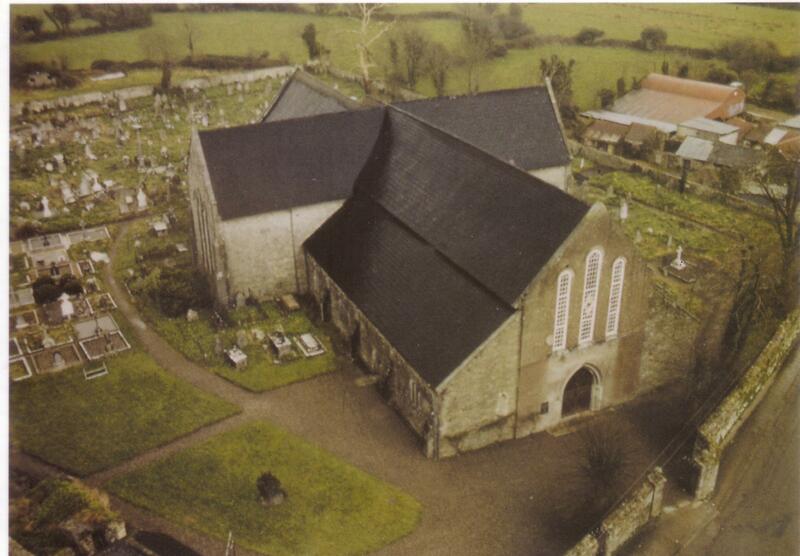 In 1814, Fr O’Neill managed to acquire land there to build a second church, which still survives with little alteration. 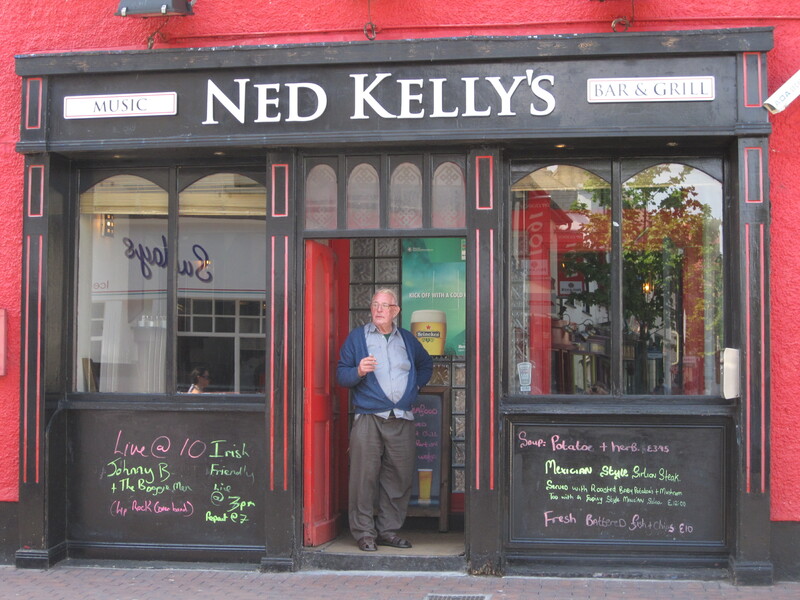 Fortunately O’Neill already had a functioning chapel in Ballymacoda. 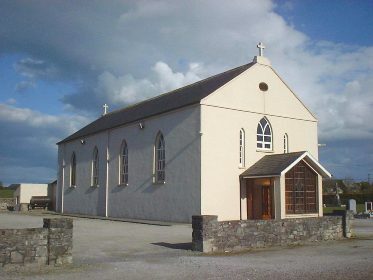 In the 1830s the old civil parish of Kilmahon (Shanagarry) was transferred from the parish of Ballymacoda and Ladysbridge to the parish of Cloyne. Shanagarry church is much closer to the original appearance of Ladysbridge. Indeed the two churches may have been built by the same team of craftsmen. The irony of the situation is that the Parish Priest of Ballymacoda, Ladysbridge and Shanagarry was Fr Peter O’Neill, a man who had been tried, condemned and whipped in Youghal for concealing information on subversion from the authorities. He may or may not have been given this information in confession. 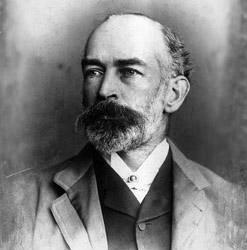 Shipped off to New South Wales and Norfolk Island, O’Neill was only the third Catholic priest to inhabit Australia. However he was rapidly reprieved by a worried and embarrassed government – they needed the clergy to calm an angry Catholic populace. It is possible that Lord Shannon was trying to placate his Catholic tenantry by offering land for building a chapel. 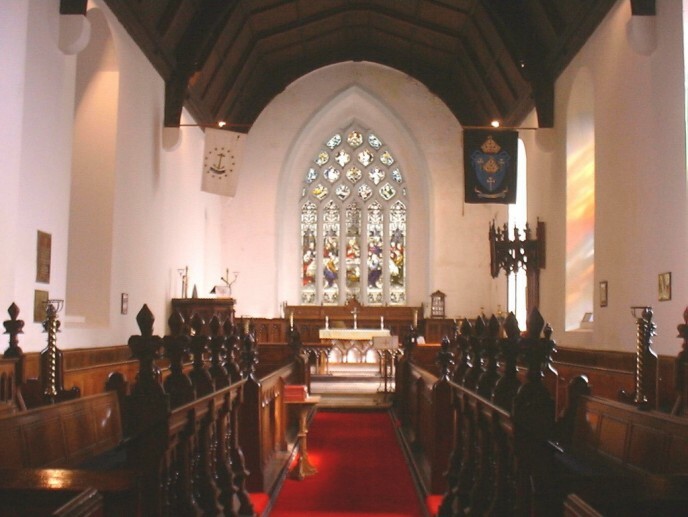 In the late 1950s the church in Ladysbridge was heavily rebuilt and redecorated. 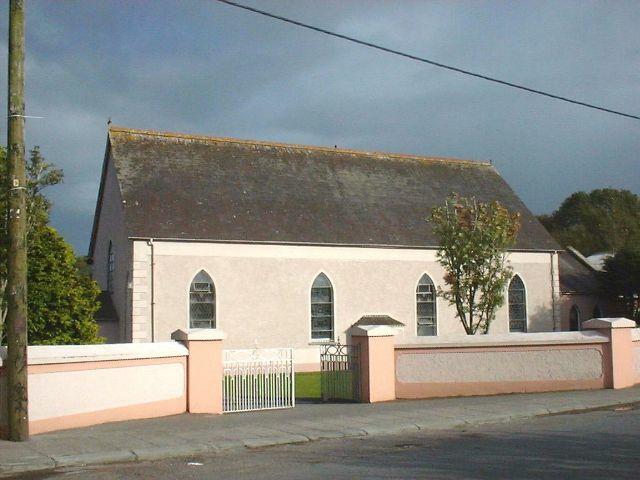 Today, Saturday 29th November 2014, the neighbouring parish of Cloyne begins the celebrations of the building of its Catholic church in 1815. This building still functions, although it underwent several changes. The interior seems to be a design by Michael O’Riordan, an architect who became a Presentation Brother in Cork. 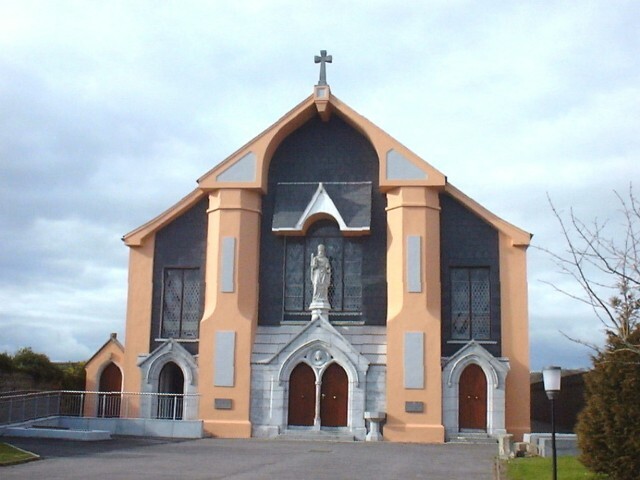 O’Riordan designed several churches in the dioceses of Cork, Cloyne and Ross. Sadly, the original exterior of Cloyne church was severely ‘modernised’ in the late 20th century, giving it a very bizarre appearance indeed. 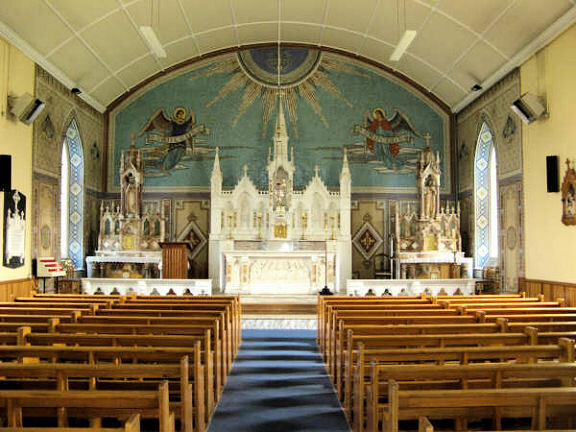 The gothic revival exterior of Cloyne hides a fine classical interior The reredos motif seen here seems to be the work of Brother Michael O’Riordan – seemingly a reworking of the 1830s. 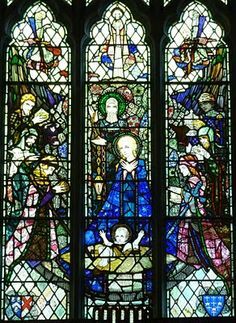 Exactly the same motif was used in nearby Ballintotis church. 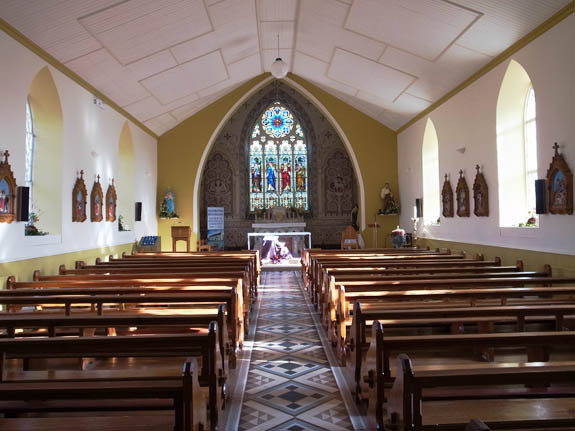 It has been estimated that between 1800 and 1850 (more accurately 1796 and 1846) about a hundred churches and chapels were rebuilt or newly built in the mostly rural diocese of Cloyne Surely a testament to the strong religious devotion of the Catholics of the period. Most of these churches were quite small ,including the now vanished chapel of St John in Midleton in this. 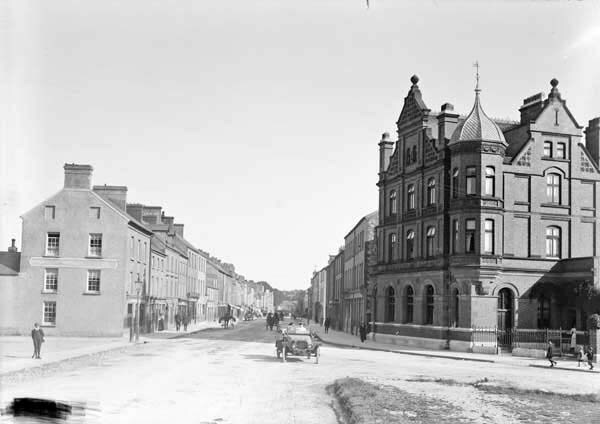 Several of these buildings were replaced after 1850 in a more convincing gothic revival style, although Midleton had to wait until 1894-96 for a huge new church to be constructed. Part of the Catholic revival at the period included the provision of proper parish registers. Parish registers were already in use for several decades from the middle of the eighteenth century, but many were judged to be inadequate during later episcopal visitations (essentially inspections by the bishop). Older registers often contained baptisms, marriages and sometime burials all mixed up together in the same volume. It seems that most of the older registers were lost or even discarded when new registers were introduced. 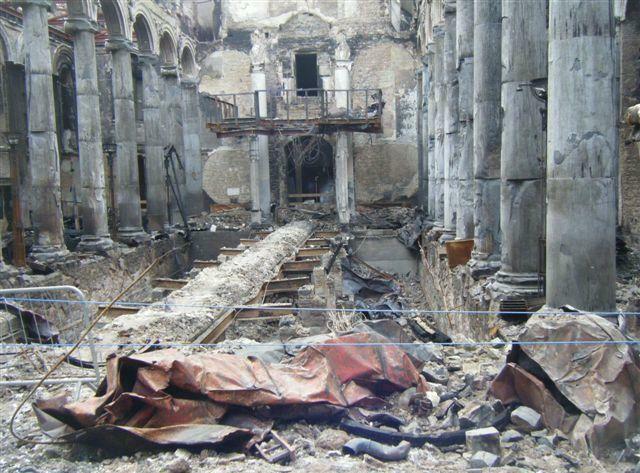 Also bear in mind that the storage conditions for such registers was often poor until decent churches were built. 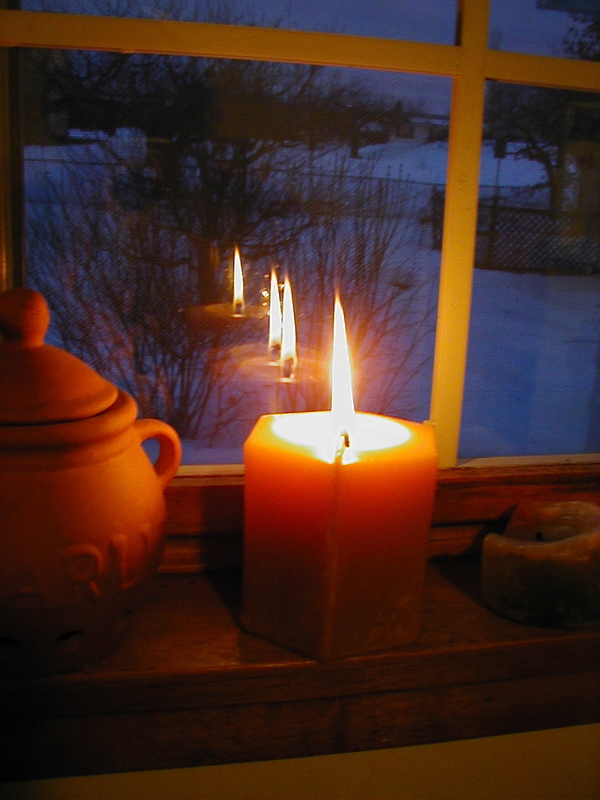 As you can imagine, the losses of the older registers remains a source of deep regret to Irish genealogists. 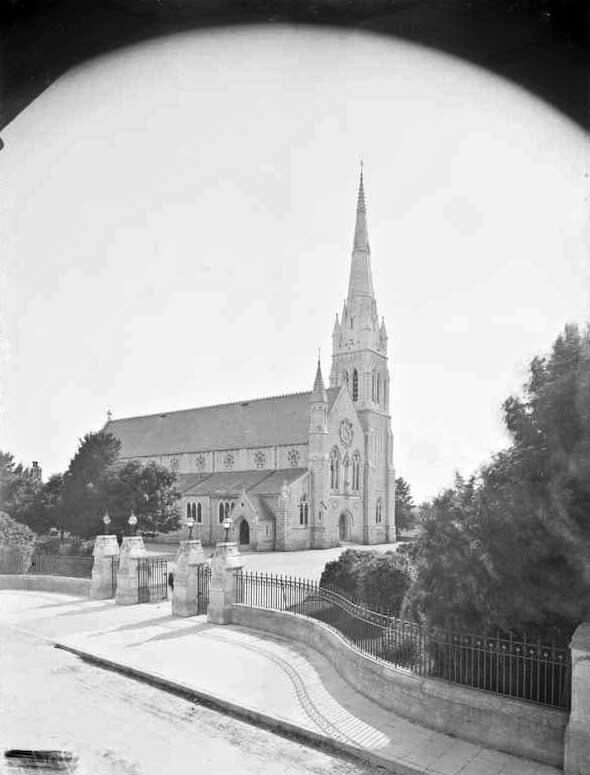 Note: I used the word chapel instead of church to describe Catholic places of worship before 1850 because that was the general use at the time, and because few of them had a cemetery attached, churches were in the hands of the Established Anglican Church of Ireland, and these usually had a collegiate cemetery attached for use by the whole population.